LONDON, U.K, Aug 23rd, 2017, Canonical today announced two consulting packages for enterprise Kubernetes deployments, and expanded enterprise support to include serverless infrastructure from Galactic Fog, container management workflows from Rancher, and Weave Cloud from Weaveworks. ‘Kubernetes Explorer’ covers Kubernetes on a public cloud, private cloud or VMware. It delivers the reference architecture at $15,000 including training and deployment, with optional consulting for workload analysis or to assist in the creation of CI/CD pipelines in support of everyday operations with containers. ‘Kubernetes Discoverer’ broadens the offering to include bare metal operations. At $35,000 it includes specialist consulting to optimise the architecture for particular workloads, together with hands-on training delivered on site. The Discoverer package provides the opportunity for deep integration and customisation of storage and networking options. Canonical Ubuntu is the leading OS for cloud operations – public and private – and Canonical works with AWS, Azure, Google and Oracle to optimise Ubuntu guests for containers on those clouds. 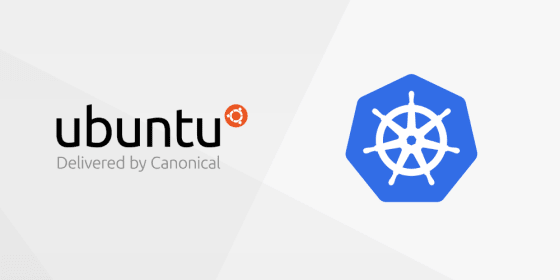 Canonical also works with Google GKE to enable hybrid operations between enterprise deployments of Kubernetes and the Google SAAS offering. Canonical’s Kubernetes implementation serves as a shared platform for a wide range of partner offerings, including serverless infrastructure from Galactic Fog, container management platform from Rancher Labs and Weave Cloud from Weaveworks. Galactic Fog was founded in 2015 with the goal of enabling companies to easily build or migrate existing applications to cloud-native architectures. Galactic Fog’s platform is built on open source and foundational components have been released as open source. Galactic Fog is backed by Osage Venture Partners and Newark Venture Partners. Rancher Labs builds innovative, open source software for enterprises leveraging containers to accelerate software development and improve IT operations. The flagship Rancher container management platform makes it easy to adopt, run and manage Docker containers across multiple Kubernetes clusters. It includes everything you need to run containers in production, on any infrastructure. For additional information, please visit www.rancher.com.